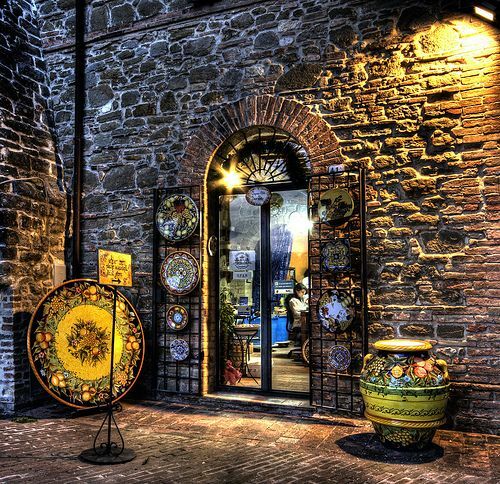 Deruta is a craft centre with a focus on majolica ceramics. In the Etruscan and Roman times Deruta was making use of its clay. However it was only when the techniques were brought from Mallorca in the 15th century that ceramics became its most important economic resource. A wide range of prices and qualities are available to buy. There are both handmade and mass produced majolica. The top quality majolica is found in the small businesses which continue the traditional techniques. 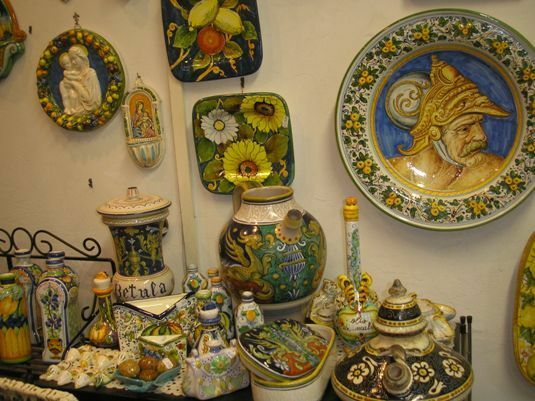 At Maioliche Nulli, a family-run business, you can buy ornately painted handmate ceramics. with beautiful medieval patterns. Your purchases can be shipped abroad. The Museo Regionale della Ceramica is housed in what was once a Franciscan convent. The museum has displays explaining how ceramics have been produced throughout the centuries from the 14th century up until the present. Scuola d’Arte Ceramica gives lessons in ceramic-making for all ability levels from the curious novice to the expert. You can do single-day or week-long classes. These are given in Italian but in the summer you might find a translator. Vist Maioliche CAMA Deruta is an excellent shop to find local food and wine, which can also be shipped home. The tourist office on Piazza Consoli provides information on accommodation and seasonal activities. Hotel Ristorante Asso di Coppe serves excellent traditional Umbrian specialities at affordable prices. 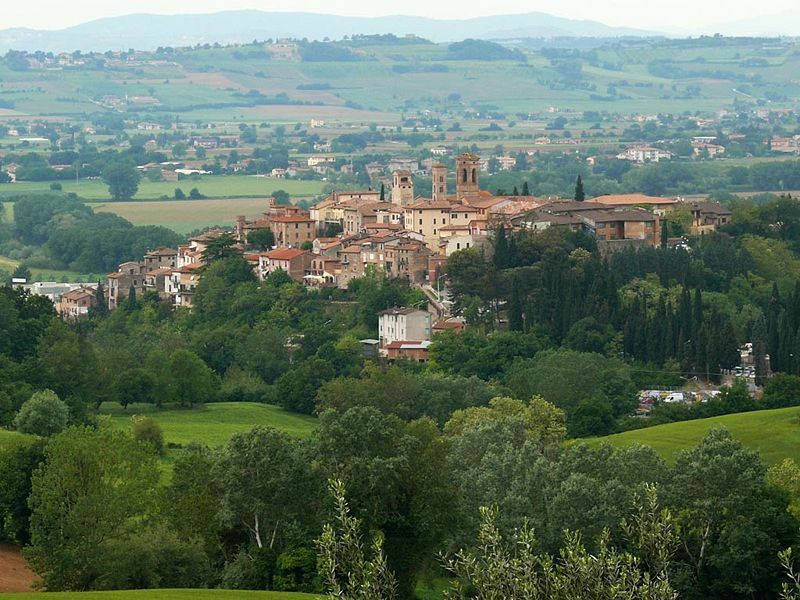 Just to the South of Deruta is Ristorante Country House l’Antico Forziere . The restaurant is well known for the quality of its food and deservedly so. BY BUS: to Perugia (duration: 25 minutes, services: 13 a day).